Heeding the warnings, students remained on lockdown for over an hour on Wednesday, fearing that they would join a growing group of people terrorized by active shooters in an American school. Police later determined the call from a man claiming to have shot his girlfriend in Engelhart Hall was a hoax, but as many rattled students returned to their academic responsibilities, the episode laid bare tensions between Northwestern’s productivity culture, students’ mental wellbeing and the University’s push for a unique public image. Weinberg sophomore Nicole Tanda said she was hiding in Cook Hall, texting friends to check their safety, when she received a 3:52 p.m. message from a biology professor — about 40 minutes before the “all clear” notification. Although students always had the option to take the quiz online by the end of Wednesday, Tanda said she preferred to take the in-person quiz, as she performs worse online and objects to the requirement that students be recorded while taking the online version. Tanda said the professor’s refusal to extend the deadline was “insensitive” because she had just spent two hours under a desk thinking her life was in danger. The professor did not immediately respond to a request for comment. Students said the productivity culture on campus puts their mental health at risk. Tanda said people tend to prioritize their academics over their wellbeing. 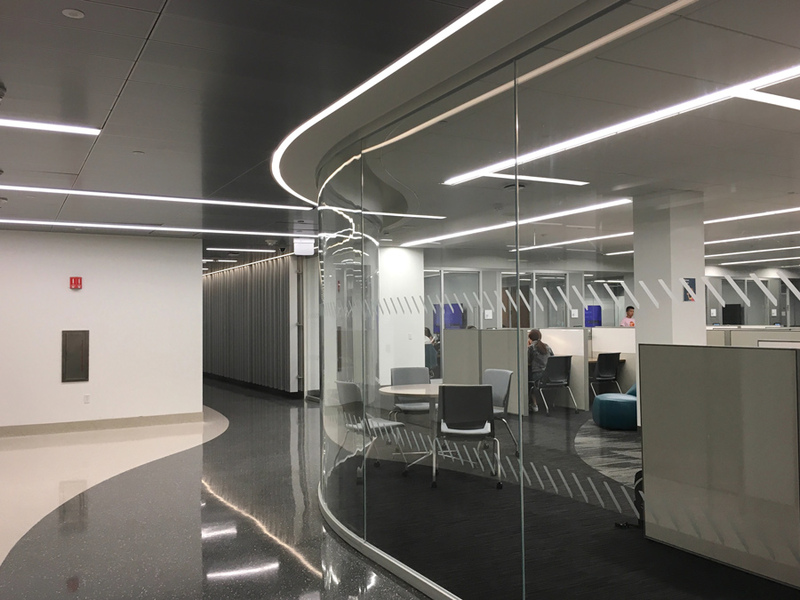 But while some students say they feel pressure to overextend, Northwestern has embraced students’ academic and extracurricular accomplishments. In 2014, the University began a marketing campaign to highlight students’ “multidimensionality,” said Donna Biernadski, assistant vice president of global marketing. The “AND is in our DNA” campaign underlines students’ pursuit of interdisciplinary studies and numerous extracurricular activities, she said. Some students have raised concerns about the campaign, saying it pushes them to overcommit, but Biernadski said the message shouldn’t be interpreted as pressuring students. Northwestern is “just wanting to be unique,” she added, adding that every university embraces a distinct specialty that attracts applicants. Yet Escobar said the image “plays into the cultural norm” and makes her feel she should take on extra responsibilities. Biernadski said she hasn’t received any concerns from students about the advertising. That sentiment, however, wasn’t demonstrated across the whole campus. Five graduate students in a Medill class told The Daily on Wednesday that their professor continued a final exam after the lockdown was lifted at about 3:52 p.m., but before it had been determined a hoax at about 4:34 p.m. The students, who requested to remain anonymous, said though they had the option to take the test Thursday, many had to take it Wednesday due to travel plans. Students were visibly upset and crying during the exam, the students said, and were unable to respond to friends and family who were trying to contact them. Additionally, the students said they were still receiving updates from NU regarding the situation but were unable to check their phones. Several of the students said they emailed Medill School of Journalism, Media, Integrated Marketing Communications administrators to express their concerns. Stefenson said she emailed her professor to excuse herself from class after feeling pressure to attend. Allie Goulding and Rachel Kupfer contributed reporting.